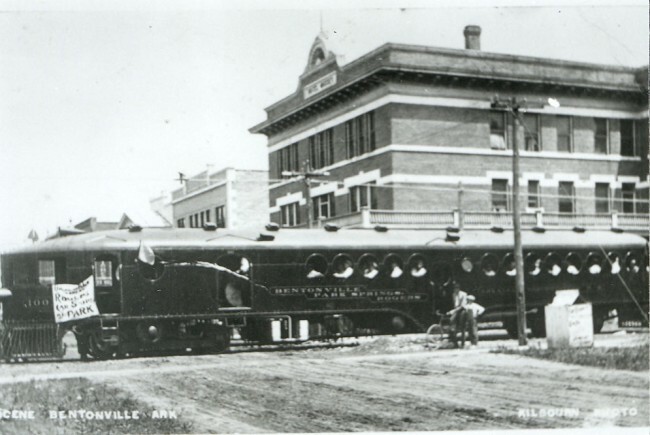 Southern Pacific Company | The McKeen Motor Car Website Southern Pacific Company | The Compendium of Knowledge on the McKeen Motor Car Company, and their experiments. 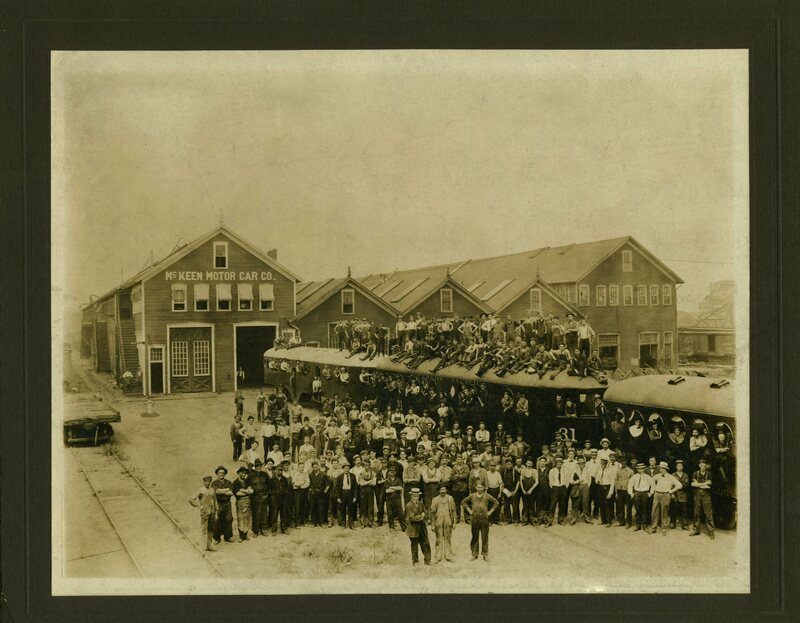 The photo has no markings, front or back, but because of the 55′ #31 Southern Pacific McKeen Car, I can tell that that car was built 8/1909 and so was its sisters #33 and 35. 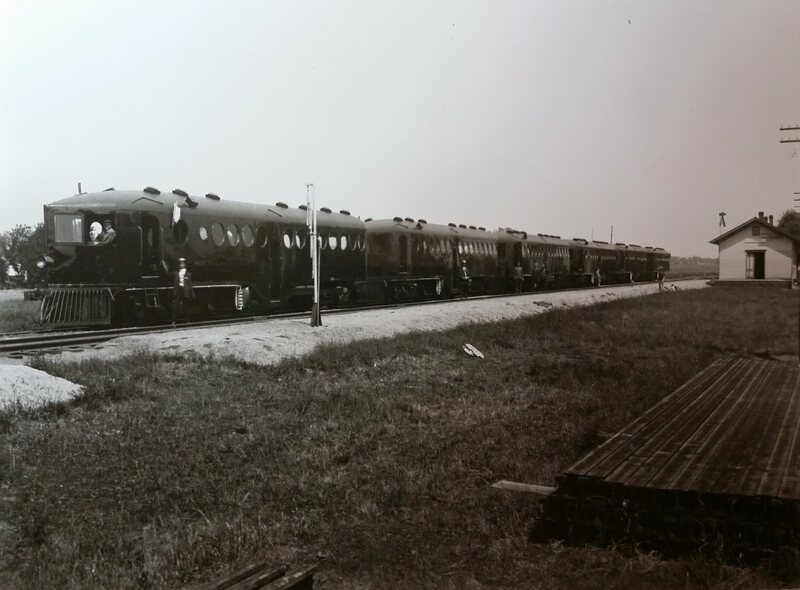 But in this photo, the motor car in front of the #31 is the Oregon Short Line #480, and you can see its number if you look closely. The 70′ behind the #31 is probably the Oregon Short Line #470 because of the window configuration. 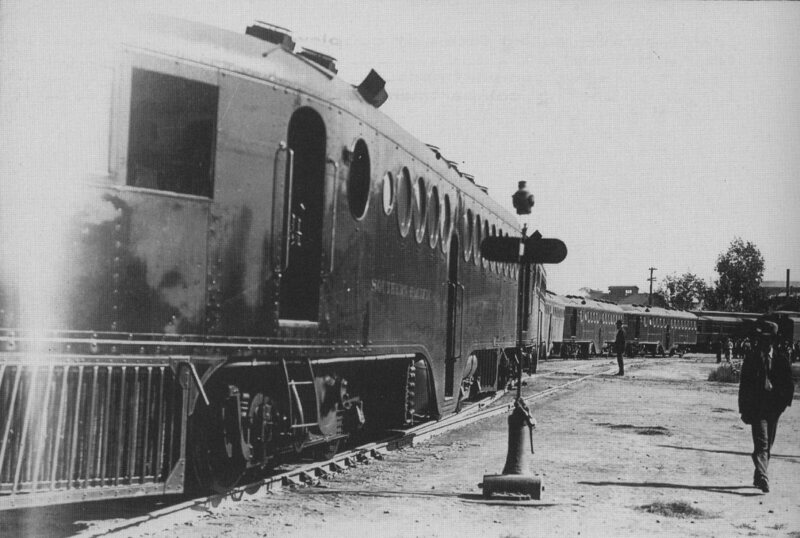 #31, #33, and #35 where 55′ 6″ which was an odd size; only two other 55’6″ McKeen Cars were the Maricopa & Phoenix Railroad #1 and 2, which later became the Arizona Eastern #1 and 2 and even later becoming the Southern Pacific #69 and 70. 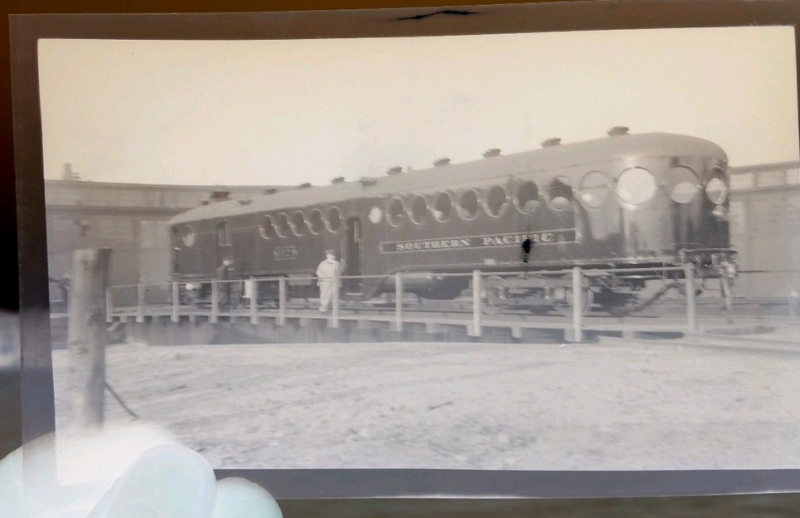 This negative turned up on ebay and it shows an unknown Southern Pacific 70′ McKeen Car with odd striping, possibly factory. One other car I know of had similar striping, the Bentonville McKeen Car. 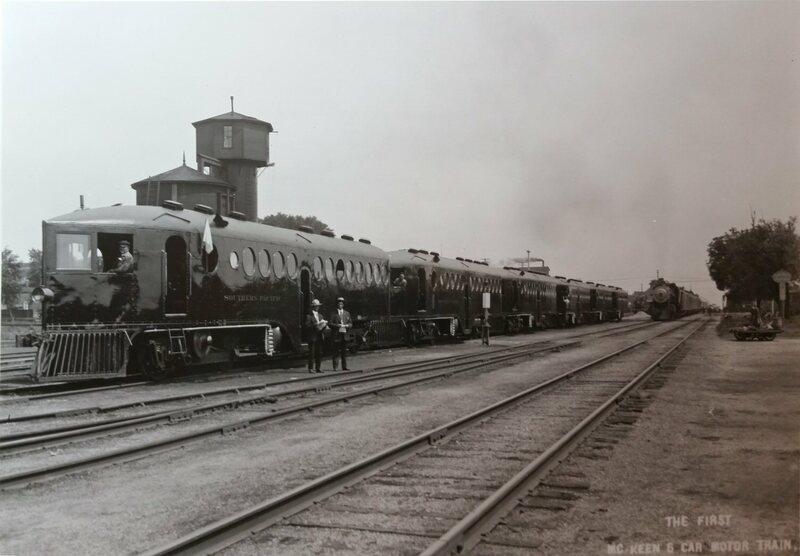 Here are a few photos of the 6 car McKeen Train, which shows 6 Southern Pacific McKeen Cars being transported under their own power to Sacramento. 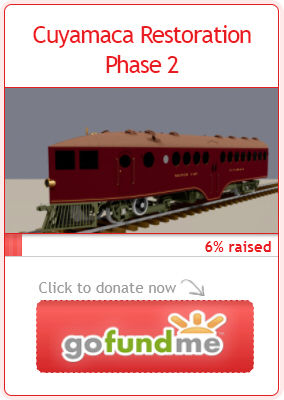 Design Plan for a 70′ Parabolic Mail/Baggage/Smoker/Passenger Motor car. The S.P. and C.P. motor cars that had this design were S.P.- #37, #39, #43, #45, #47, #49, #51, and #53, while the C.P. Cars were #55, #57, #59, and #61. 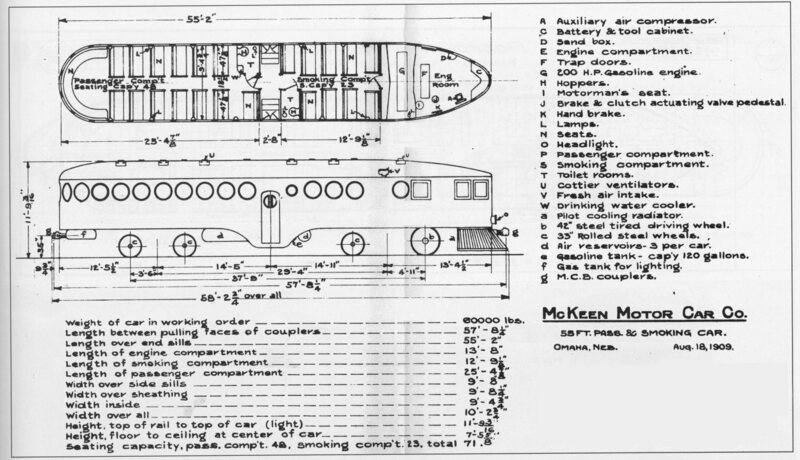 Design Plan for a 55′, knife-edge nose, all passenger Motor car. The S.P. had this design on #3, #5, #7, #9, #13, and #15 while the O&C (Oregon & California) had this design in car #41, and the C.P. had it in car #17.